Kair cowled vent with damper flap & 100mm round spigot. 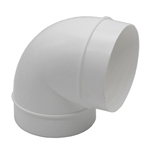 Designed for use with Kair 100mm round ducting. 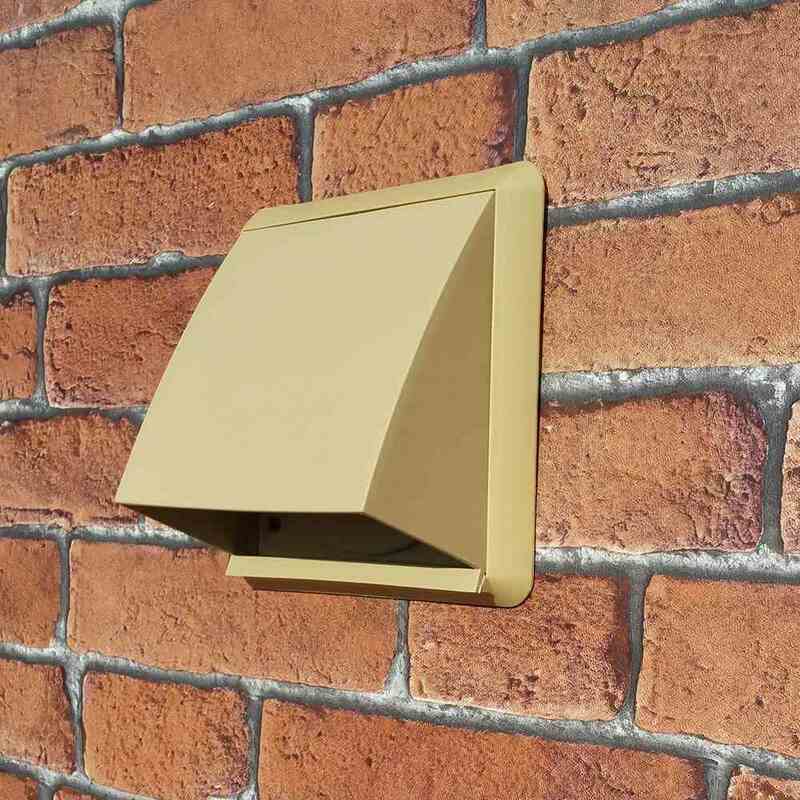 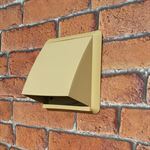 Cowl protects against driving rain and gusts of wind enterring your property via the duct run. 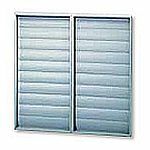 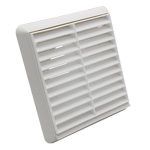 Damper flap can be closed to help reduce unpleasant odours, noises, or draughts flowing back through your duct. 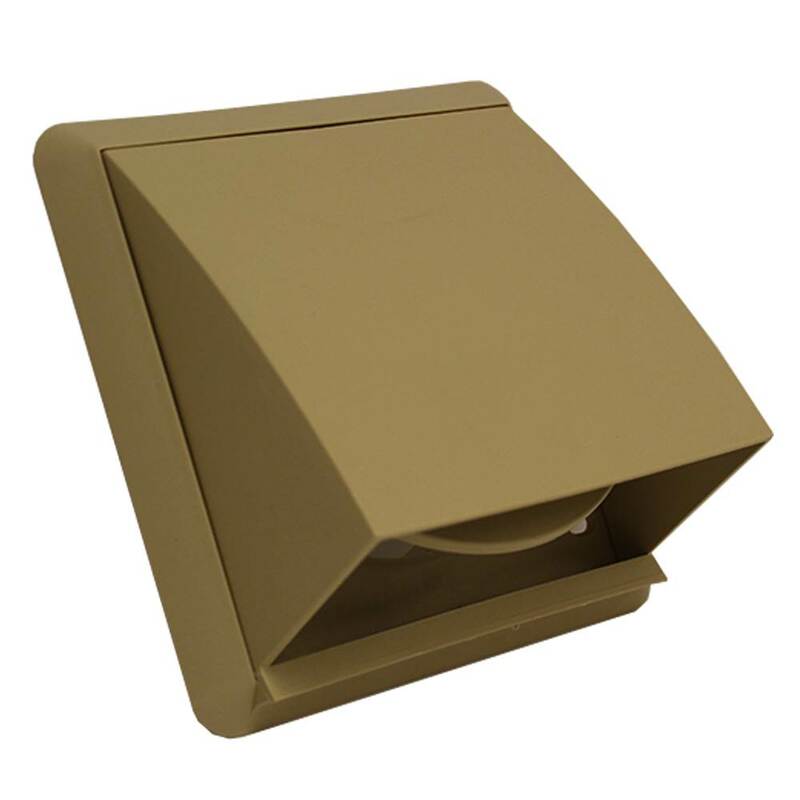 Kair cowled vent with damper flap & 100mm round spigot. 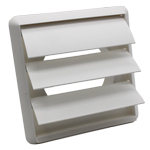 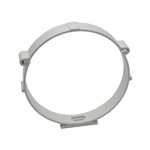 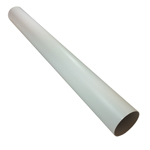 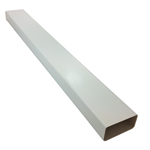 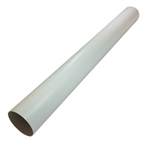 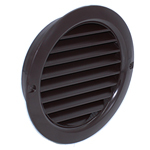 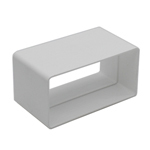 Designed for use with 100mm round ducting. 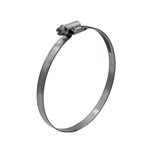 4 inch / 100mm round male spigot on the back of the grille fits inside most comparable size pipes/hoses such as Kair 100mm Round Female Duct Pipe (Part: "DUCVKC250") or 102mm flexible hose (Part: "DUCP002/102/35"). 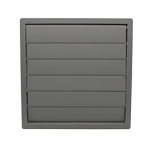 Static Pressure Drop in Pascals: 15 l/s = 4.72 Pa - 30 l/s = 17.18 Pa - 60 l/s = 62.48 Pa.
We also stock a black cowled outlet. 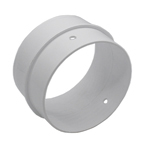 Stainless steel versions are also available in 100mm, 125mm, and 150mm versions. 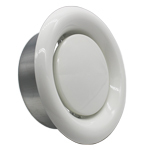 Click here to view the Kair Stainless Steel Cowled Outlet range.